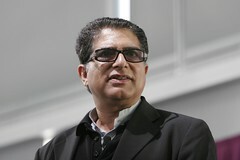 I recently read an awesome article written by Deepak Chopra who has been a major influence on my thinking for many years. I was very lucky to spend 7 days with him doing his program in Australia back in 2001. I was already a major fan before then, hence that week was life changing in shifting my awareness. In sport being ‘in the zone’ is about being centred and this is a great article from Deepak, called The Conscious Lifestyle Awareness Skills Staying Centered. If you follow that link to read his post, you will see he shares an interesting story about how Leaders are performers. The conclusion I take from this is that if we stay present, centred, the same as in peak performance in sport, we play ‘in the zone’ fully awake, aware in that moment. This is about not being in the head at the moment of activity, it is about being relaxed and balanced, centred with all zones balanced, to be in1zone.